4th of July weekend means family time at the Jersey shore for many. In its annual poll of most popular vacation destinations, Ocean City tops the list of shore towns. This year, Ocean City won the online vote for best beach; best day-trip beach; best family vacation beach; and top beach for ecotourism. 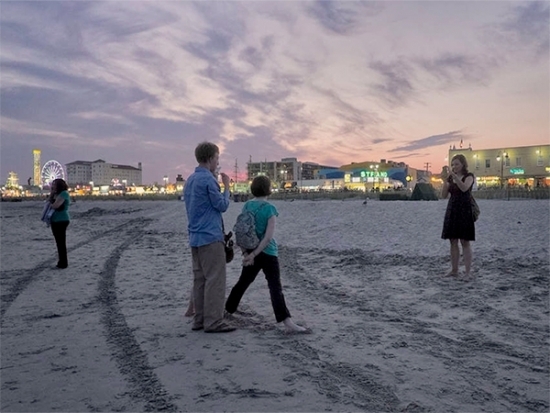 Runners-up include Long Beach Township, The Wildwoods, Asbury Park and Brigantine. According to Yahoo Sports reports, the 76ers are picking up star shooting guard Nik Stauskus as part of a salary dump by the Sacramento Kings. Sixers also get forwards, Jason Thompson, Carl Landy, and a future top-10 protected first round pick. Stauskas was the eighth pick in the 2014 NBA Draft and had a good rookie season, hitting 50 of his last 118 shots from 3 point range. Reports say the Sixers only gave up a couple of second round European player picks. SEPTA is changing its busiest bus route. The Route 23 bus will become two distinct routes known as the 23 bus and the 45 bus because the 23 had a tough time staying on schedule. The new northern route will be the 23 and run between Chestnut Hill and Center City. The new 45 will replace the southern part of the route will use 11th Street to Noble between Callowhill and Spring Garden. The change will help reduce overcrowding. 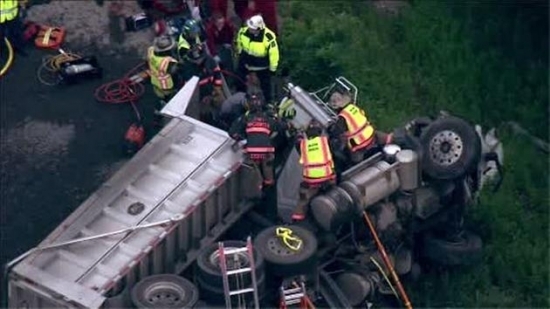 A dump truck overturned this morning jamming traffic on the Pennsylvania Turnpike in Plymouth Township. The dump collided with a pickup truck on the ramp from the Westbound Turnpike entrance onto 476 North. The driver was trapped for some time as firefighters worked to free him. Traffic was log-jammed for hours. 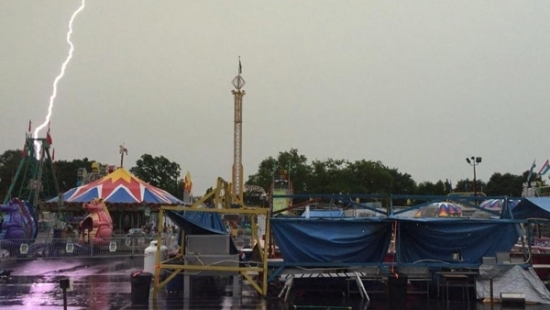 Some people in the Philadelphia area are still without power after last week’s storms. As of Monday morning, there were still 4,400 Atlantic City Electric customers in Gloucester County in the dark. Greenwich Township Mayor George Shivery says New Jersey Governor Chris Christie needs to put politics aside and help their community. In the NBA draft last night the 76ers chose Duke big man Jahlil Okafor with the third overall pick. The Sixers missed out on point guard D’Angelo Russell when the Los Angeles Lakers grabbed him with the #2 pick. The 76ers now have three towers in Nerlens Noel, Joel Embiid and Okafor. 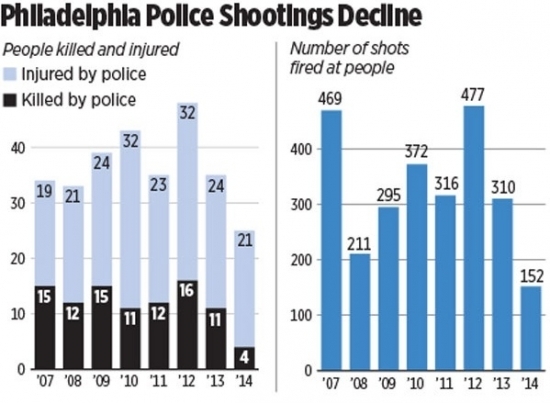 According to data released by Philadelphia's Police Department, Police officers are shooting less often, firing fewer bullets when they discharge their weapons and striking fewer civilians compared to 2012. Shootings by police have plunged since a spike three years ago, when officers killed 16 people and wounded 32. Between Jan. 1 and mid-June of this year, police fatally shot one person and injured seven others. Last night's 75 mile per hour winds and severe weather toppled trees, shut down roads, cut power and brought mass transit to a standstill. Hundreds of thousands of people were left without power. Delaware and Chester counties in PA got slammed. iRadioPhilly's power grid was down for hours. Cape May, Gloucester and Camden counties in N.J. were the hardest hit. Down wires and trees are still getting cleaned up after many interruptions to routines and commutes this morning. The National Weather Service has issued a Heat Advisory for Philadelphia today. The heat advisory will be in effect in until 6:00 p.m. With highs in the mid 90's accompanied by intense humidity, the heat index is expected to feel upwards of 100 degrees. After highs of 91 on Sunday and Monday, Tuesday rounds out the first official heat wave of the year. Severe thunderstorms are likely after 4 pm as a strong system moves in from the West part of Pennsylvania. Investigators in New York have shifted the search for the two prison escapees, Richard Matt and David Sweat to an area just west of the Clinton Correctional Facility where they escaped from on June 6th. They apparently found some DNA evidence in a Franklin County hunting cabin that was broken into over the weekend.